If there’s one thing that all website owners can agree on is that traffic is key. We all want more traffic to our websites. More traffic means more visibility and can also mean more business. Search Engines account for a bulk of traffic online; Search engines like Google and Bing account for about 51% of all traffic online, that in itself is no small feat. By not investing in SEO, you’re missing out on quite a bit of traffic. Traffic is more targeted in SEO; The users visit your website because they believe you can help them answer/solve a certain query that they might have. Visitors arrive on your website because they typed in a query and your site was one of the few that popped up. We can only assume that you’ve heard about the importance of ranking top in the search engines (or at the very least on Page 1). Most of the search engine traffic ends up on the first page of the SERPs (Search Engine Results Page), if your site is not there, you’re missing out! Everyone wants to be the top result, but no one knows exactly how to get there. The truth about SEO is there is no one magic button/trick that will get you to the top. SEO is a long game that requires dedication, persistence, and resourcefulness. In the SEO field, you should always be aware of what’s happening. For instance, algorithm updates that bring about major changes occur often. You should be aware of these changes and be quick to adapt or else you stand the chance of failing. There is a lot more to SEO than finding the right keywords. There are other factors that can affect how well your SEO efforts are rewarded. With that in mind, here are some tactics that you can use (apart from keyword strategy) to increase your rankings. Here we go! “organize the world’s information and make it universally accessible and useful”. You might be wondering why we chose to start with their mission statement. Well, it’s because Google is the world’s largest search engine that processes up to 5 billion searches a day. On top of that, most SEO efforts are focused on ranking in the top of Google’s SERPs. As much as we’d like to simply start talking about SEO tactics, we feel that we need to inform you on how Google ranks websites. By understanding Google’s Algorithms, you get to set yourself up for the long term. It also helps you understand the fluctuations in rankings that occur on your site from time to time. This was a game changer as the Algorithm now tried to understand the context of a query rather than just providing results based on words typed. This update targeted spammers and sites that got their links unnaturally. This update assessed the overall quality of a site. Some of the things looked at are the number of 404 errors popping up and the length of content(s) on the site. 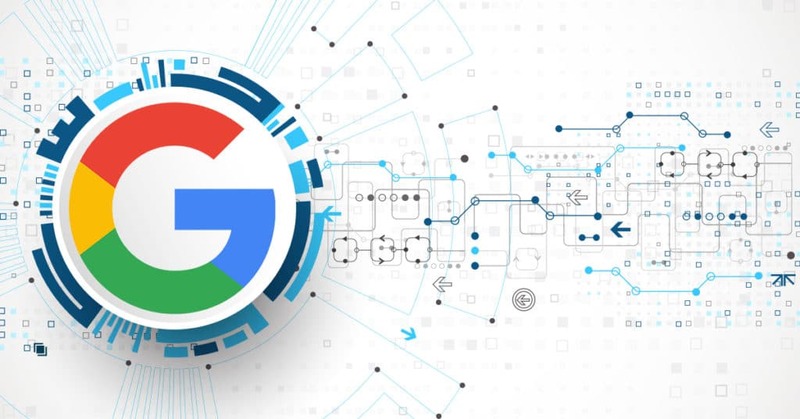 The aim of algorithm updates is to curtail the people that use black hat SEO techniques to rank high on Google. They also allow the search engines to refine their search criteria to show you the best results. Remember the company’s mission statement! Well, they can’t make it possible without the updates they roll out from time to time. 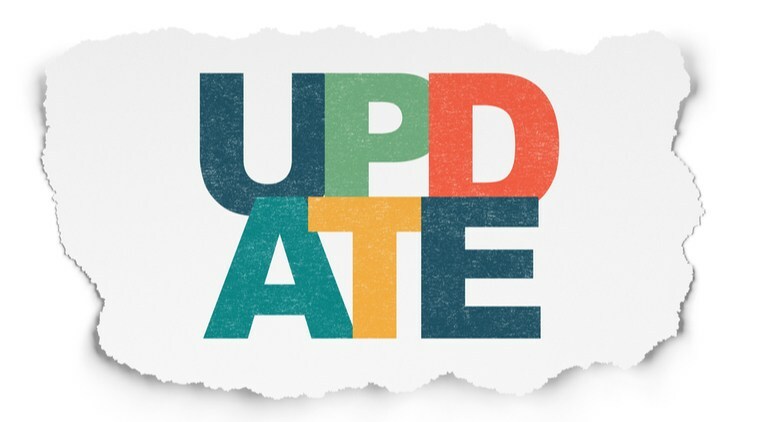 You always need to be on the lookout for these algorithm updates. Doing this can make a huge difference in your SEO efforts. There are sites and databases that can help you stay on top of these updates. Another tactic you could use is to update the old content on your website. One thing to note is your site needs to have had a bit of traffic for this method to work. Without traffic, it’s going to be difficult to assess the content to improve. In this method, we’re going to use the Google search console. The aim here is to find content that ranks below the first page in Google. What you’re going to do is log in to your search console and head over to Search traffic> Search analytics. Now select “position” and “pages” to see the average ranking for every page on your site. Select the page that you’d like to rank better in. Add extra content to the page. Increase the number of words on the page remembering to add the relevant keywords to help rank better. Update the content. Sometimes what you need is not extra content, but up to date information. You can simply update the info on the page to match the current time. This method works because Google favors websites that have “fresh” information. Remember, the search engine is trying to provide the most relevant information to its users. The more up to date your information is, the more likely that Google will serve it to its users and thus higher rankings. On top of that, the search engine has always seemed to favor longer content than shorter content. A quick fact, Brian Dean of Backlinko came up with the Skyscraper technique after finding this out via a study he conducted. The skyscraper technique simply involves searching in your niche for the top ranking site/content. Analyzing the content and providing a more in-depth article. This method has been proven to work! Let’s also talk about Dwell time; the amount of time visitors spend on your website. You want your visitors to stay on your site for long periods of time. This stat is considered a ranking factor by Google. Dwell time might be one of the reasons longer content is favored by Google. With that said, don’t go and simply write long articles! Make sure the content adds value to your readers. The content should make them want to stay and read the article in its entirety. A point to note is longer content is not always the key to top rankings. It’s all dependent on your target keyword. The best thing to do is to always research and understand what article length/format does better in your niche. It’s not only enough to update the content, you also need to promote it. Alert your email list, (if you have one) about the new content. You could also post it to your social media pages and alert your followers about the updated posts. Website usability has more to do with the elements of web design. It looks at how usable your website is in the perspective of the user. There are quality components that can be used to determine the usability of your website. By keeping an eye on these components, you increase your chances of conversion. It also allows you to offer a better user experience. We don’t have to tell you how much Google’s algorithm cares about providing the best experience to its users, you already know that! Effectiveness; How easy is it for users to achieve their objectives once on your site? Of course, the objective would depend on the aim of your website. For a blogger site, it’d be how easy is it to sign up for your newsletter? For a business site, it would be how easy is it to buy your product? Or get information about you? Or contact you even? You should always make it easy for the user to achieve the objectives set. Errors; This will definitely affect the SEO potential of your site. You need to fix all the errors that show up. The most common one is the 404 error. This error occurs when you visit a page on a site that is no longer available. You might be wondering why is the page still there when it’s deleted? The short answer is a problem with Google index updating and removing the page. In the meantime, you can solve these errors by redirecting the affected page to another newer page or the homepage of your site. Redirections can be done manually or via the use of plugins like Yoast SEO. You can notice 404 errors via your search console. Simply go to your Search console> crawl> Crawl errors. Here you’ll find all the pages that return a 404 error. Learnability; This has more to do with how easy it is for users to perform basic tasks on your website. In this part, you’re looking at the navigation of the website and the overall general design. For instance, are the Call to Actions buttons consistent throughout the site? Can the user easily move from one page to the next one and back to the homepage? You want your visitor to understand how to use the website the moment they land on it. The last 2 elements are memorability and efficiency. You want your users to easily remember the site when they return. Return visitors can definitely provide an SEO boost. How memorable is the site and the keywords used to get to the site? Will a user remember the page if they were to land on it again? 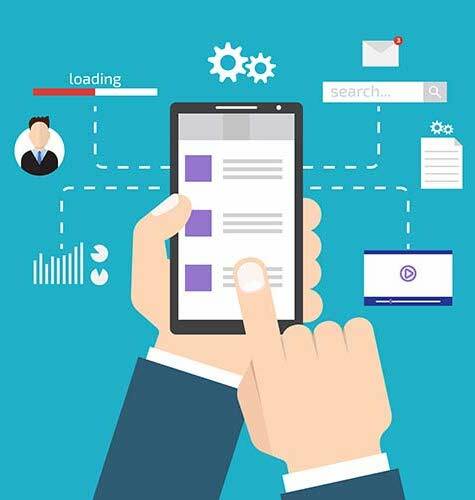 Efficiency has more to do with how quick the user can achieve their objectives while on your site. As much as users spending more time on your site is good for you, you want them to spend time-consuming information. If a visitor spends too much time trying to get your product or too much time trying to sign up, then you best believe they won’t do it again. You need to make these processes/objectives as smooth and quick as possible. Social bookmarking sites are sites like Quora and Reddit where users post their content and other users will interact with them based on that content. What many users don’t realize is that these sites can be goldmines for long tail keywords. Let’s take Reddit for example. If you’re looking to get keywords, simply go to a subreddit associated with your niche. You can find the subreddit(s) via the search bar. Go through the threads and look at the different terms that are being repeated often. The best case scenario is that if people are talking about these terms on the subreddits, then they are likely searching for them on Google as well! You can find some awesome keywords with this technique. The method doesn’t change whether you’re using forums it’s all the same! It’s a bit different on Quora. On this platform, a user can post a question and other users post answers as a reply. You can use the site to get topic ideas in form of questions. What you need to do is to look for questions in your niche. You can get these questions by viewing the “topics” question or using the search function on the site. The best topic idea(s) will be the question(s) that people constantly ask on the site. This means there are people looking for answers to this question online. Let’s move on to what we consider one of the key tactics for better SEO rankings. This is the traffic that’s coming from Google. These are the people who see your site on the SERPs and click to view/visit. By keeping an eye on organic traffic over a period of time, you get to know how well you’re doing in terms of SEO. There are paid tools you can use to measure your organic traffic, but if you aren’t willing to spend, then Google Analytics is your friend. All you need to do is to visit your Google Analytics page, go to Acquisitions> Overview. Here you’ll find the number of users that have visited your site and how they got to your site. The name is truly straightforward. It’s the positioning of the keywords that you’re using on the SERPs. There are paid tools you can use to track keyword rankings. These tools can show you the top ranking keywords for your site and the potential traffic that’s directed to your site. These are just two of the metrics that you need to keep an eye on. There are many more others. The importance of tracking these metrics is that they let you know what is working and what is not. For instance, by tracking your keywords you know which ones are performing well and which ones need improving upon. 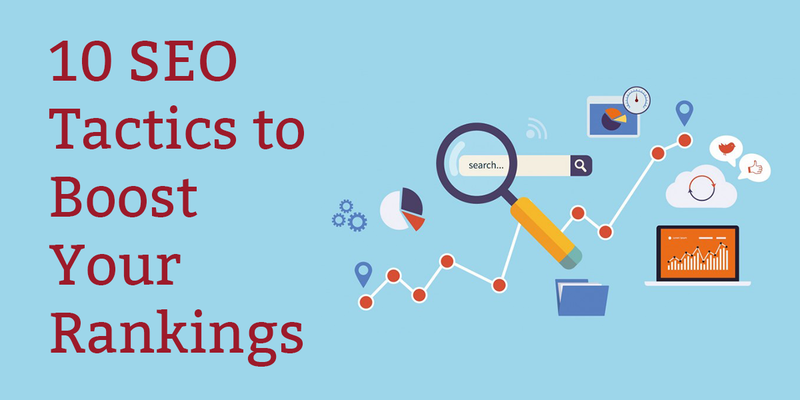 These metrics help direct your SEO efforts. One of the main ranking factors in SEO is backlinks. We all want backlinks to our sites to rank higher. We don’t need to tell you how difficult it can be to generate backlinks the organic way. With that said, there is an “easier” way to generate backlinks, web mentions! This is a great method to gain backlinks because the person/site that mentions you must like your product/appreciate your work, so there is a sort of familiarity already. You need to understand that it can take some time for you to find a legit site with a mention. Once you find one, simply email the owner/writer/editor of the site asking for a backlink. To increase your chances of success, you’re going to need to offer something in return such as sharing their post with your users. What you need to do moving forward is to set up Alerts to get notified when there is a mention. You can use paid tools like Buzzsumo or use the manual method with Google Alerts. Either way, rinse and repeat the methods above when you find an unlinked mention. Your rankings might be low because of penalties that your site has incurred. 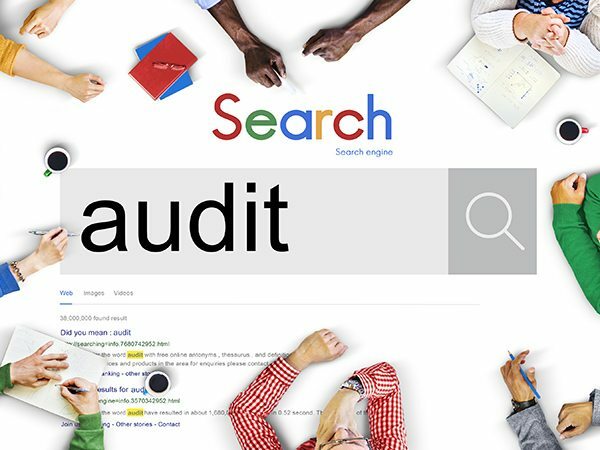 An SEO audit lets you know how your website is doing from an SEO perspective. It lets you see the bigger picture and what you might be doing wrong. Many people make a mistake when obtaining links. Many site owners build links unnaturally which is a big no! for Google. Previously bad links could improve your rankings, but that’s not the case anymore. What you need to focus on is the inbound links as well as the Anchor text(s). You need to go back to the source of the link. If it’s a link building company that helped you gain the links, then ask them to remove the bad links. Another thing you could do is contact the site owner and have them remove the link to your site. This is considered the manual method of link removal. Google does offer a tool to disavow links on your site. The tool can be found in the search console. It’s a method you can use when the manual removal option fails. All you need to do is add the link(s) and that’s it. You need to understand Google can’t remove the links as it doesn’t own the sites that are linking to you. What the disavow process does is it stops the links from passing link juice (value) to your site. This helps reduce the harm of spammy links to your site. Use different texts as anchor texts; You can use phrases, URLs and brand names as part of your anchor texts to help diversify. Avoid using keyword rich anchor text; For instance, you’re trying to link to another internal page with the keyword “SEO tips and tricks”. Don’t use that exact text to link to the other page. Instead, you can use a phrase such as “here are some SEO tips and tricks to use”. 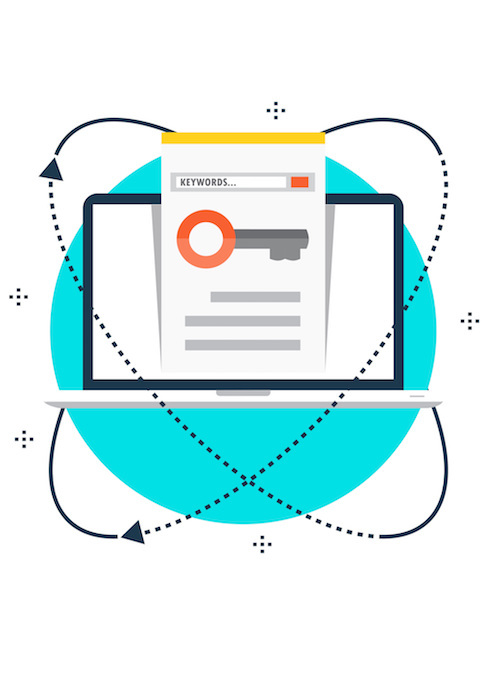 There is a lot more to anchor text and building a natural link profile, but there is something else just as crucial; On page SEO. Many sites online do not have a proper internal linking structure despite the benefits it provides. Proper internal linking helps with crawling and also helps with passing link juice throughout your website. The truth is only a few posts on your site will attract the most links/traffic to your site. What you need to do is make sure that these posts/pages link to other underperforming posts/pages. What this does is it helps transfer the link juice (value) from the good pages to the poorly performing ones. This, in turn, can help the pages rank better in the long run. What you need to do is to go to your Search console> Search Analytics. While there click on “Queries” and “Positions”, this will let you know the queries that you rank for and their respective positions. You can also click on “pages” to know how your pages are ranking. From this point on, you can use Google Analytics or premium tools like Ahrefs and SEMrush to figure out the pages that are performing well and the keywords they are ranking for. Once this is done, simply add links on the popular pages pointing to the underperforming pages. For this to work, you need to make sure that you interlink pages with relevant content. 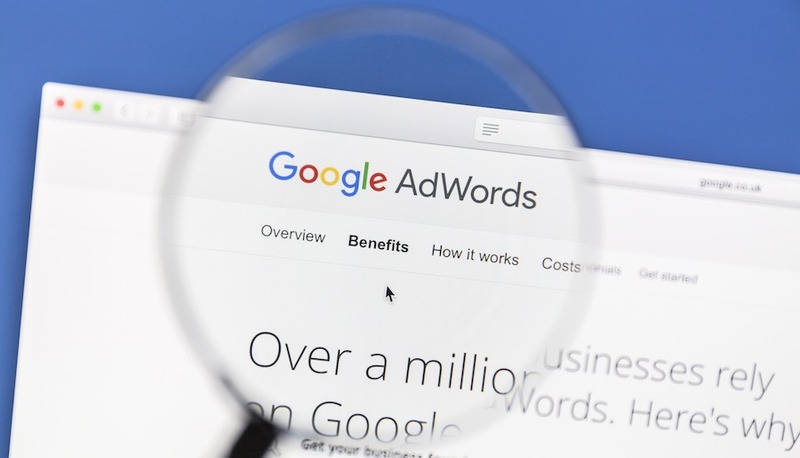 The copy of Adwords ads come from hours of split testing different texts that will get users to click. If you want to make a killer title and meta description, then look no further than Adwords ads. We know you’re probably asking yourself, “But meta titles and descriptions are no longer a ranking factor?” And you’re right! What you need to remember is a good CTR can mean higher google rankings. A good CTR indicates to the Algorithm that you’re providing relevant content to the query. As much as the meta title and description are not ranking factors, they can still play a role in better rankings. What you need to do is check the ads on the keywords that you’re trying to rank for. Look for interesting copy that you can integrate into your own. The copy can be phrases or terms that can generate clicks. Once found, integrate them into your own content. Don’t simply copy and paste! Use what you found as inspiration to make something better. For advanced users, here is a method you can try to gain links. A good understanding of Search Engine Optimization is needed to implement this. 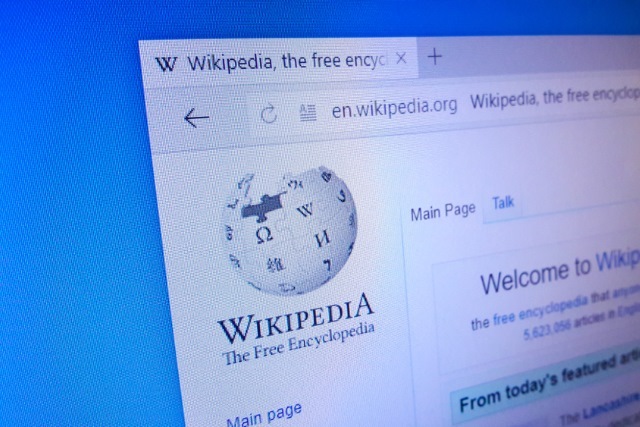 There are many ways that you can build links using Wikipedia, for now, we shall focus on the broken link building method. We found out about this from Brian Dean from Backlinko. You see there’s a loophole in Wikipedia’s editing system, dead links aren’t removed immediately. Instead, the editor that notices the dead link adds a footnote that says “dead link”. This allows other editors to confirm that the link is, in fact, dead before removing it. It’s through this simple footnote that you do broken link building on Wikipedia. The first step you need to do is find the dead link. That way, you can have the link replaced with a relevant and fresher article. 2. You can employ the moving man method. This is another complex SEO tactic developed by Brian Dean to gain high-quality backlinks to your site. It’s a proven method that’ll get you do follow links to your post/page. It does involve quite some few steps like using a tool to find the sites linking to the “dead link”. You then contact the owners notifying them of the dead link and your content that replaces the dead link. Hopefully, you gain some links. It’s more than what we’ve explained. You can read more about it here. We’d advise you use the moving man method. It gives you a better chance to gain many do-follow backlinks back to your website. This is compared to the single no-follow link you would gain from Wikipedia. There is a lot you need to do. All these tactics can only bring results to you if you choose to implement them. You can have the best content in your niche, but if it doesn’t get to the right audience, you’ve failed! These SEO tactics will help you boost your rankings and get your content to the right audience. SEO is a long-term game. These tactics might not bring returns today or tomorrow, but your site will thrive in the long run! Next Post: Best WordPress Hosting 2019: Top 10 Best Hosts, Compared!